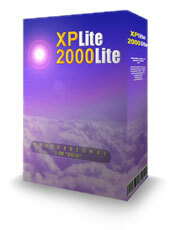 XPlite and 2000lite Professional give you the power to configure your system your way for maximum performance and stability. Just like our award winning 98lite program, XPlite Professional and 2000lite Professional take standard Windows features and transforms them into optional components. 98lite Professional gives you the power to configure your system your way for maximum performance and stability. 98lite takes standard Windows features and transforms them into optional components. You can then remove the superfluous features that trip you up and slow you down. Even Internet Explorer can be removed! There's no risk since 98lite installs components into the Windows add/remove options list and you can restore any feature you remove. 98lite can also customize your desktop to completely eliminate performance robbing "Internet Integration" from Explorer. 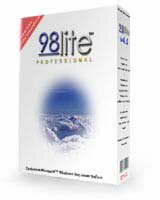 Reduce the overhead, reclaim speed and remove the bloat with 98lite. 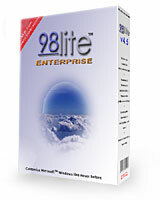 98lite tailored for your enterprise. With support for unattended and network installation you can deliver a modular Windows operating system that scales to your needs and hardware for substantial improvements in stability, performance, security, and ease of administration. Looking for the hit-man? IEradicator is the first and only utility to remove all versions of Internet Explorer from all versions of Windows�95/98/Me/2000 in 8�different languages!. 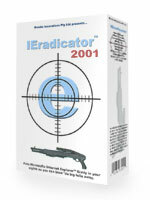 IEradicator uses the built-in Windows setup engine to "rub out da big fella" in less time than it takes to oil your 12-gauge. Hey Windows 95 guys - here's what you've been bugging us for!